Comfort combined with just a bit of roughing it. A rustic chic experience; offering comfort combined with just a bit of roughing it. Strings of party lights lead you from the parking area, through the oak trees to this little rock cottage. 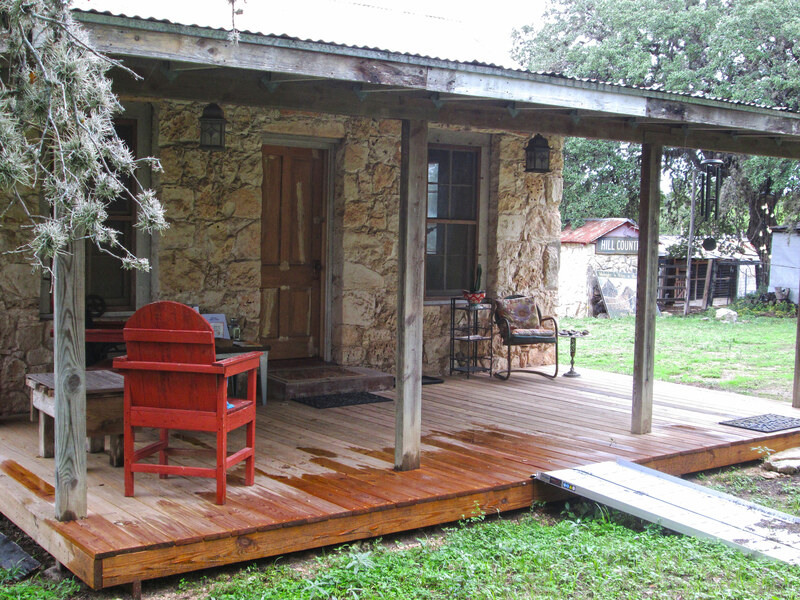 The expansive front porch with rocking chairs is the ideal place to relax with a drink. Inside the one-room cottage, there are original hardwood floors and a high, tin ceiling that has been insulated. The place is comfortably heated and cooled by an unobtrusive mini-split HVAC system. A ceiling fan pleasantly swirls the air. The kitchen area has a farmhouse sink, a refinished china hutch, a microwave, coffeemaker and toaster. The comfy sofa makes out into a double bed. We provide fluffy bathrobes for the short walk to the bathroom that is just around the corner. The spacious bath features an original marble vanity and reproduction fixtures. 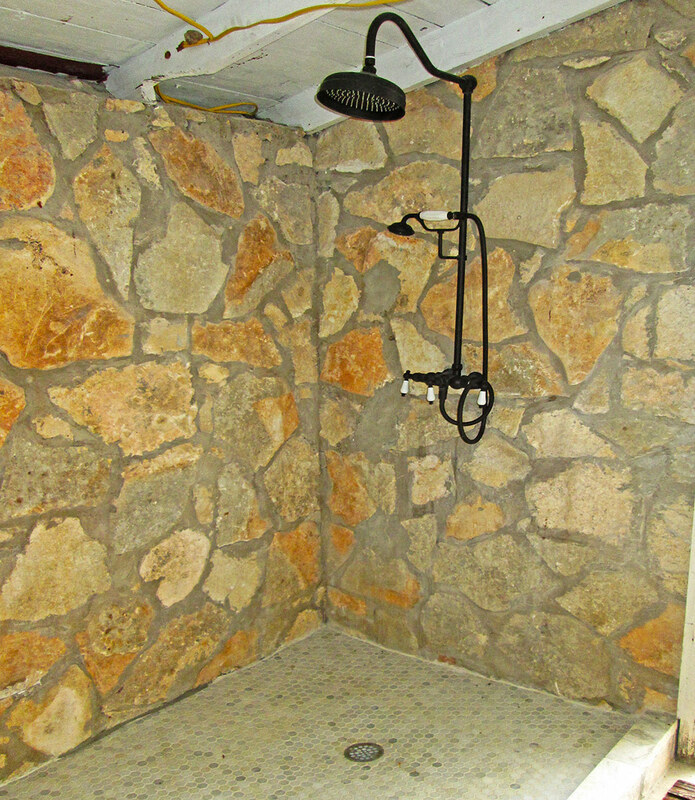 The open shower has a rainfall shower and a hand held wand.